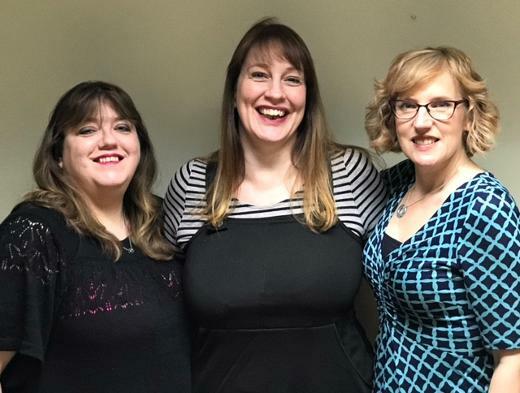 Three ladies from Hjaltland Housing Association will have their heads shaved next month to raise money and awareness of the need for an MRI scanner on Shetland. Melanie Dawson, Leigh-Anne Sinclair and Heidi Andrews all wanted to do something in order to help raise money for the Shetland MRI Scanner Appeal, which is looking at raising £2 million in total. Presently over 600 patients from Shetland must travel south to have an MRI scan each year, and this number is steadily increasing. There can be delays in getting an MRI scan due to a number of reasons and this can impact on the patient and their families during an already difficult time. Not only are the ladies raising money for the MRI Scanner appeal but their hair shall also be donated to The Little Princess Trust, a charity which turns donated hair into wigs for children who have lost their hair through cancer treatment or other illnesses. Sponsorship for the charity head shave is currently being sought while guests on the night will have the opportunity to donate money to cut off individual pony tails. There will also be a raffle and refreshments provided. The event will be held in the Bixter Hall on February 9. To donate to the campaign go to https://mydonate.bt.com/fundraisers/leigh-annesinclair1.